"Off periods are considered one of the greatest unmet medical needs in the treatment of Parkinson's, and typically increase in frequency during the course of the disease," said lead researcher Michael Lipp. He is vice president of pharmaceutical development and technical operations at Acorda Therapeutics, the drug's maker and funder of the study. Inhaled levodopa could be used along with oral levodopa by the 70 percent of Parkinson's patients in the United States who take it, he said. "We're studying inhaled levodopa to determine the extent to which it can restore motor function when used as people begin to experience off periods," Lipp said. In clinical trials, patients were able to use the inhaler themselves while in an off state, he said. More testing and larger trials are needed before powered levodopa could be available. "Off periods can be hugely disruptive to the lives of people with Parkinson's and their families," Lipp said. "Inhaled levodopa has the potential to help people with Parkinson's minimize these disruptions." Dr. Michael Okun is the national medical director of the National Parkinson Foundation. "A delayed response for medications to kick in and start working is a huge issue for many of our patients who call the Parkinson's Foundation helpline," he said. "The inhaled levodopa formulation could potentially help these people and we look forward to larger studies focused on people" who struggle with these off periods, Okun said. For the study, Lipp and colleagues tested the powered version of levodopa in dogs, 18 people without Parkinson's and 24 Parkinson's patients who had at least two off hours a day despite taking levodopa pills. The inhaled drug was rapidly absorbed and was detectable in the bloodstream within five minutes, compared with 20 minutes after taking levodopa orally, the researchers found. Parkinson's patients showed improved motor function after inhaling the drug, Lipp said. The drug appeared safe and was well-tolerated. Coughing was the most common side effect, according to the study. The report was published Oct. 12 in the journal Science Translational Medicine. 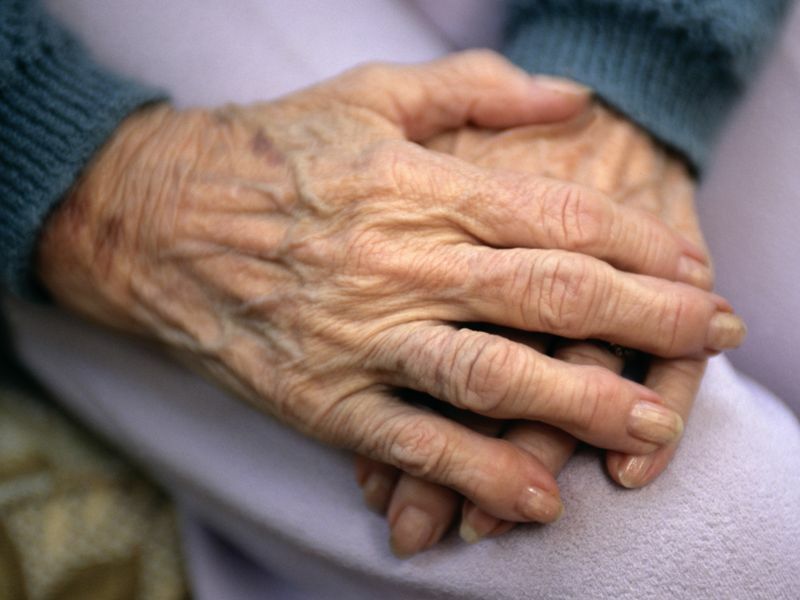 There are approximately 1 million people in the United States with Parkinson's disease, according to the researchers. A progressive neurodegenerative disorder caused by the gradual loss of certain brain cells responsible for producing dopamine, Parkinson's causes impairment of motor function, including impaired movement, muscle stiffness and tremors. Other symptoms include anxiety, depression, sleep difficulties and stomach problems, the researchers said. In the United States, about 350,000 people with Parkinson's have off periods, the researchers added. Dr. Andrew Feigin is a neurologist at the Northwell Health Neuroscience Institute in Great Neck, N.Y. "Levodopa remains the gold standard treatment for Parkinson's disease, but the beneficial effects of it may become erratic and unreliable as Parkinson's progresses," he said. Several new preparations of levodopa have either recently become available or are in development, he said. "Currently, the only rescue medication for these dose failures is an injectable dopamine agonist called Apokyn [apomorphine], so having an inhaled drug that can fill this need would be helpful," Feigin said.